The Romance Cover: Blog 6 Month Anniversary! We think we need a Giveaway! Blog 6 Month Anniversary! We think we need a Giveaway! 6 months ago today we decided to take the plunge and create a blog. We didn't know if anyone would read it, but we felt if we managed to introduce just one person to a book they wouldn't otherwise of heard of then we would consider the blog a success. We do the blog because we love reading and we love sharing our thoughts with others on how a book made us feel. 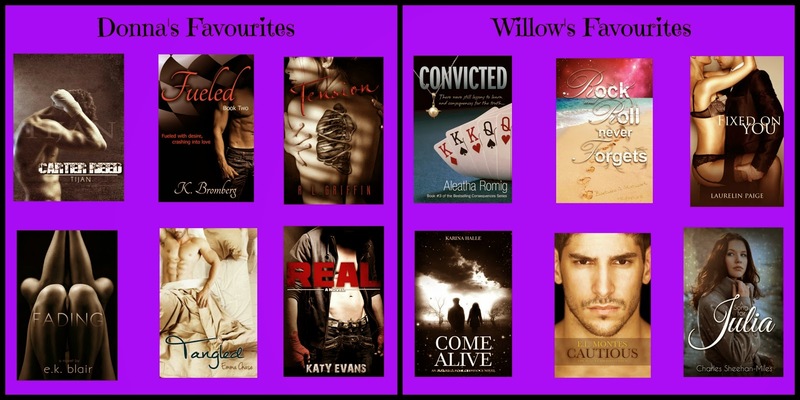 One winner will get the bundle of Donna's 6 favourite books and one winner will get the bundle of Willow's 6 favourite books! They will be gifted via Amazon.com so are Kindle copies. I think the Twitter wording is from an older. Giveaway when you hit 3, 000 likes. Also congrats on the 6 months! Thank you for the giveaway. Congratulations on your 6 months of success! Great blog! Congratulations on your 6 months of all you're amazing hard work!